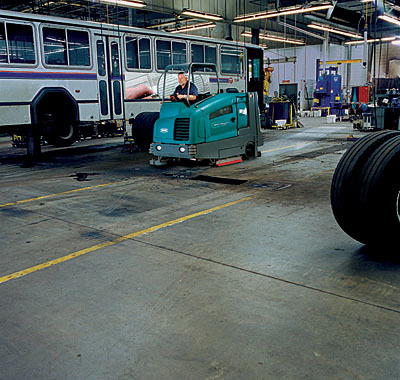 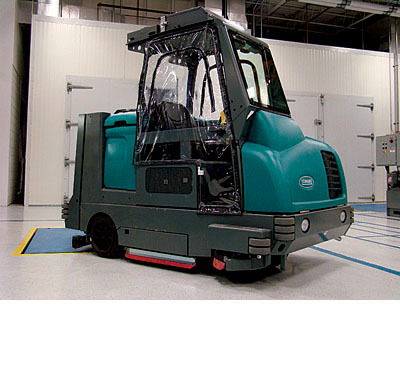 Provides excellent cleaning indoors and outdoors to help reduce your cost to clean, improve facility image, and provide a safe and healthy environment in an easy to use and maintain industrial scrubber-sweeper. 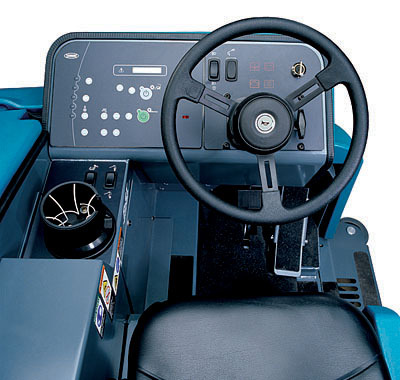 Eliminate costs associated with chemical purchases and reduce water use with ec-H2O™ technology. 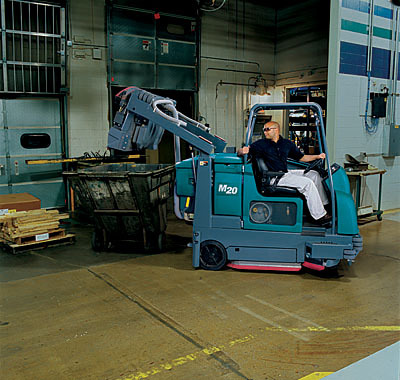 Protect employees and facilities with the ErgoSpace™ operator compartment that improves visibility and response time to obstacles. 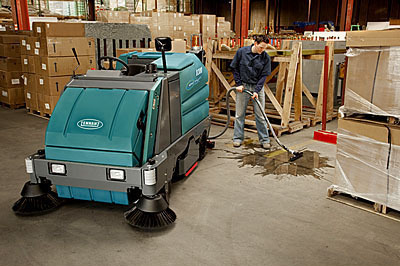 Keep your facility always looking great with a versatile design that enables you to sweep, scrub or do both at the same time for one pass cleaning – wet or dry. 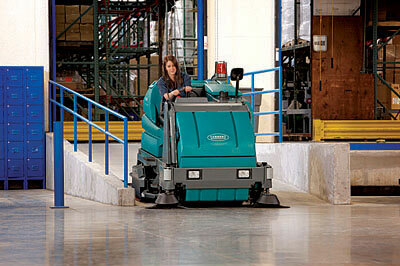 Reduce training and simplify operation with the Touch-N-Go™ control panel featuring 1-STEP™ scrubbing and sweeping.